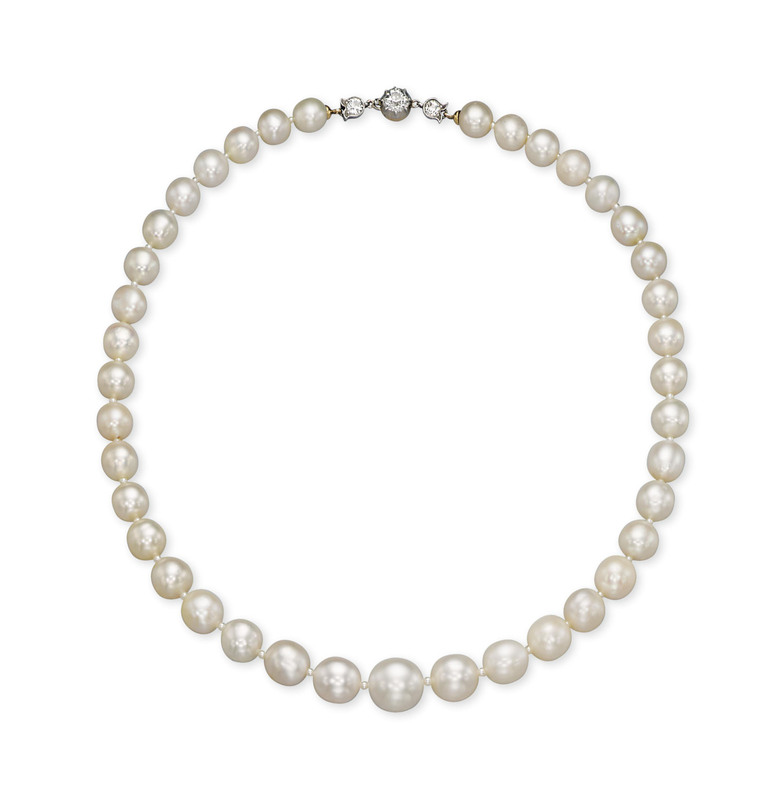 A NATURAL PEARL AND DIAMOND NECKLACE, BY TIFFANY & CO. Signed T&Co. for Tiffany & Co.